Apparently, the very low degree of freedom in North Korea would be explained by its government’s decision not to interact with other countries for trading purposes. Its close economic system has affected significantly the freedom that its people have been experiencing. With strict adherence to a communist ideology, the government has complete control of the economic and political activities of the people. This is why its economy has not been performing well in the past few years with minimal support from other countries politically and economically. The closed-market orientation of the North Koreans has contributed to the impoverished condition of the general population. For instance, its people are highly dependent on the support of the government in terms of its basic necessities like food and housing. This may be effective if the government has enough funds to support all the needs of the people. Unfortunately, a welfare state form of government is not sustainable if the economy is not performing well because of limited freedom and engagement in global trading. As a result, the North Korean government has not been able to provide fully the needs of its people. In fact, the North Korean economy has been performing dismally in the past two years with a negative growth rate of 0.5 percent last 2010. In 2009, its economic growth has lowered from 0.9 mainly due to the complete control of the Communist Government. With such an approach, the government tends to interfere with the business sector and attempts to reduce the private markets. This has caused the limitation on free-market experimentations in the business community making the people very dependent on government programs for their own survival. Sadly, given the impoverished condition of the people, the Communist Government of North Korea still allocates funds for nuclear development and military purposes, which should not be the priority (Heritage.org, 2012). Certainly, this side of Korea has provided a negative outlook to the people of the world especially the reported nuclear threat and human rights violations perpetrated by the North Korean Government. The things that made Korea bad in the eyes of the international community would definitely come from the way the North Korean Government treats its people, manages the various sectors of society, and the economic condition of the country. In my view, this has to be resolved by both South and North Korea. The problems of one nation are also the problems of the other since its people are culturally brothers and sisters whatever their ideological inclinations are. I’m not totally against communism. In fact, I am a believer in the ideology of Karl Marx with his emphasis on communal property, full state control, less freedom and other communist teachings. But, I do agree that these ideals can only be implemented given the appropriate conditions, which I think are not present in North Korea. Moreover, I truly believe that complete adherence to a communist ideology is no longer applicable these days because of globalization. In this global framework, every nation has to work together to maintain economic prosperity and political stability. If a nation departs from others in the roads globalization, its people may suffer gravely just like what is happening in North Korea. Consequently, North Korea badly needs the aid of other countries especially its direct relative, the South Korea, in order to provide the necessities of its people. In addition, North Korea has to abandon its communist ideology and open up to the world if its leaders are really concern with its people. The nuclear threat is not the solution in expressing its leaders’ disappointments to the world. The pride of the nation can still be recovered if the leaders of the North Korean Government would already accept the fact that their system is no longer working for the general welfare. In this sense, the North Korean leaders should be reminded that when Karl Marx formulated the “Communist Manifesto,” he was thinking of the interests of the workers and the masses, not of some personal interests. As a final note, I actually admire and at the same time sad about the situation of Korea. I honestly admire Koreans because of their resiliency in handling adversity and overcoming their short comings historically. Despite their struggles, Korea has survived various economic and political setbacks as a nation. No doubt that Korea is a nation in Asia that possesses strong cultural roots, economic potentialities, and political independence. Indeed, Korea has two faces, the persona and the anima. An acceptable and loveable image and an image that is feared and hated by the global community. 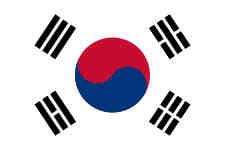 Of course, I like the way South Korean way of managing its economy and its people, which is persona of Korea. This side of Korea, which South Korea represents, has attracted positive attention from the world. Unlike the one that North Koreans continue to depict to the world. However, one sad thing about Korea is the existing factions between the South and North. The Koreans have to realize that they belong to one culture and ancestral origin. They have to reconcile their political differences in order to fully attain peace and order. A country divided by two political ideologies is not a good picture to depict in the international scene if one would talk about positive and negative images. Fortunately, South Korea’s image is still more prevalent than the one depicted by the North Korea to the world. It would seem that K-pop rules rather than the Communist rule.